Veröffentlicht am 12. Juli 2013 um 11:16 Uhr. 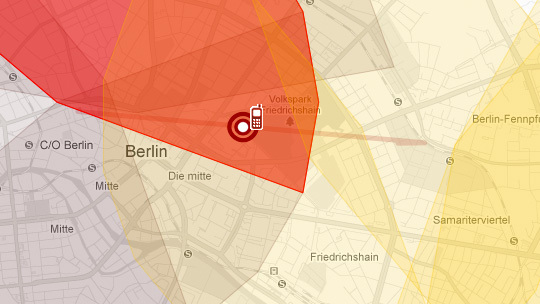 BERLIN — IN May 2010, I received a brown envelope. In it was a CD with an encrypted file containing six months of my life. Six months of metadata, stored by my cellphone provider, T-Mobile. This list of metadata contained 35,830 records. That’s 35,830 times my phone company knew if, where and when I was surfing the Web, calling or texting. The truth is that phone companies have this data on every customer. I got mine because, in 2009, I filed a suit against T-Mobile for the release of all the data on me that had been gathered and stored. The reason this information had been preserved for six months was because of Germany’s implementation of a 2006 European Union directive. All of this data had to be kept so that law enforcement agencies could gain access to it. That meant that the metadata of 80 million Germans was being stored, without any concrete suspicions and without cause. This “preventive measure” was met with huge opposition in Germany. Lawyers, journalists, doctors, unions and civil liberties activists started to protest. In 2008, almost 35,000 people signed on to a constitutional challenge to the law. 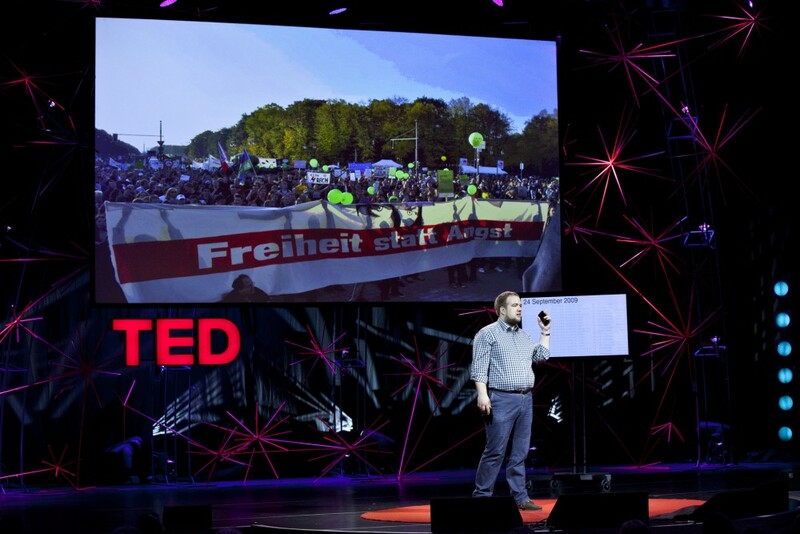 In Berlin, tens of thousands of people took to the streets to protest data retention. In the end, the Constitutional Court ruled that the implementation of the European Union directive was, in fact, unconstitutional. In Germany, whenever the government begins to infringe on individual freedom, society stands up. Given our history, we Germans are not willing to trade in our liberty for potentially better security. Germans have experienced firsthand what happens when the government knows too much about someone. In the past 80 years, Germans have felt the betrayal of neighbors who informed for the Gestapo and the fear that best friends might be potential informants for the Stasi. Homes were tapped. Millions were monitored. Although these two dictatorships, Nazi and Communist, are gone and we now live in a unified and stable democracy, we have not forgotten what happens when secret police or intelligence agencies disregard privacy. It is an integral part of our history and gives young and old alike a critical perspective on state surveillance systems. When Wolfgang Schäuble, the interior minister from 2005 to 2009, pushed for the implementation of the data-retention law, Germans remembered the Stasi’s blatant disregard for privacy, as portrayed in the 2006 film “The Lives of Others.” They recalled their visits to the Hohenschönhausen district of Berlin, the site of the former Stasi detention center. Three weeks ago, when the news broke about the National Security Agency’s collection of metadata in the United States, I knew exactly what it meant. My records revealed the movements of a single individual; now imagine if you had access to millions of similar data sets. You could easily draw maps, tracing communication and movement. You could see which individuals, families or groups were communicating with one another. You could identify any social group and determine its major actors. All of this is possible without knowing the specific content of a conversation, just technical information — the sender and recipient, the time and duration of the call and the geolocation data. With Edward J. Snowden’s important revelations fresh in our minds, Germans were eager to hear President Obama’s recent speech in Berlin. But the Barack Obama who spoke in front of the Brandenburg Gate to a few thousand people on June 19 looked a lot different from the one who spoke in front of the Siegessäule in July 2008 in front of more than 200,000 people, who had gathered in the heart of Berlin to listen to Mr. Obama, then running for president. His political agenda as a candidate was a breath of fresh air compared with that of George W. Bush. Mr. Obama aimed to close the Guantánamo Bay detention camp, end mass surveillance in the so-called war on terror and defend individual freedom. But the senator who promised to shut Guantánamo is now a second-term president who is still fighting for its closure. And the events of the past few weeks concerning the collection of metadata and private e-mail and social-media content have made many Germans further question Mr. Obama’s proclaimed commitment to the individual freedoms we hold dear. DURING Mr. Obama’s presidency, no American political debate has received as much attention in Germany as the N.S.A. Prism program. People are beginning to second-guess the belief that digital communication stays private. It changes both our perception of communication and our trust in Mr. Obama. Even as a Green Party politician, I wasn’t impressed with Mr. Obama’s focus on fighting global warming. While his renewed enthusiasm is appreciated, it served as a distraction from the criticism he is currently facing for allowing invasive state surveillance. He cannot simply change the subject. His speech caused many Germans to question whether Americans actually share our understanding of the right balance between liberty and security. In the past, we celebrated the fact that both countries valued this balance, and there was huge solidarity with America after 9/11. But the policy decisions of the Bush administration after the attacks — from waterboarding to Guantánamo — appalled Germans. We were shocked to see this mutual understanding disappear. Now we are not sure where Mr. Obama stands. When courts and judges negotiate secretly, when direct data transfers occur without limits, when huge data storage rather than targeted pursuit of individuals becomes the norm, all sense of proportionality and accountability is lost. While our respective security services still need to collaborate on both sides of the Atlantic to pursue and prevent organized crime and terrorism, it must be done in a way that strengthens civil liberties and does not reduce them. Although we would like to believe in the Mr. Obama we once knew, the trust and credibility he enjoyed in Germany have been undermined. The challenge we face is to once again find shared values, so that trust between our countries is restored. Malte Spitz is a member of the German Green Party’s executive committee and a candidate for the Bundestag in the September national election.